The word nation comes from the Latin word “natio.” It means “birth” or “race.” Moreover, the Latin word “natio” can be traced to the Latin word “nasci,” which is akin to the Latin word “giginere (to beget).” One of the meanings of the word “nation” is TRIBE or FEDERATION of TRIBES (perpetual union). With that in mind, the IROQUOIS or HAUDENOSAUNEE i.e., “People of the Longhouse,” is an example of a FEDERATION of TRIBES. The coalescence of the Haudenosaunee was originally founded upon five tribes, which is now currently banded together as six. The historical narrative of the formation or creation of the Haudenosaunee is an interesting one. They, the Haudenosaunee, were once separate tribes warring against one another. Conflict and rivalry was the way of life for the original five tribes. But conflict or warfare as a way of life would ultimately be a thing of the past. The notion that would help transform a norm of war and conflict amongst the five warring tribes was the Law of Great Peace. 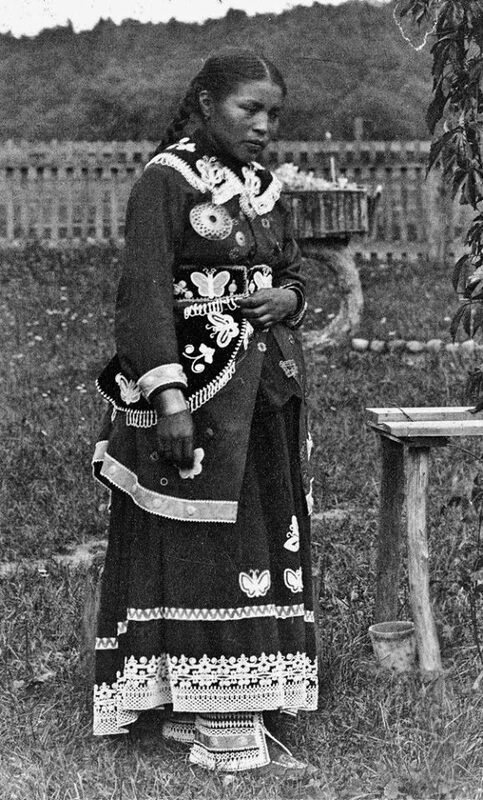 Kayanernh-Kowa, as it is called in their language, helped to renew the way of life for the “People of the Longhouse.” The Law of Great Peace helped to replace years upon years of senseless and perpetual conflict with the application of right thinking and the power of sound right reason. It became the means to settle disputes and quarrels amongst tribes. This new way of thinking had to be accepted by each of the five tribes. The first person to accept the Law of Great Peace, according to their traditions, was a woman whom embodied the epiphany as the NEW MIND. Thus, she became the custodian of the power of peace for all future nations. The Peace Maker, whom brought the good message of the Great Peace to the Haudenosanee, came from the NORTH. His message of peace was eventually accepted by each of the five original tribes. The interesting notion about the Law of Great Peace is its three great principles: (a) sound, (b) right, and (c) reason. Moreover, there are currently 117 Wampums (laws/articles) that make up the Law of Great Peace. There are two things that I must address before I continue. The first thing is that the three great principles of the Great Peace reflect the idea of NUWAUPU (wbn). The second thing is the mathematical affinity between the word NUWAUPU and the 117 laws that currently make up the Great Peace. The application of nation building was further extended into the creation of the United States of America. Article seven of the United States Constitution formulated the arithmetical reasoning behind the ratification of the Constitution between the States that ultimately dissolved the Articles of Confederation and Perpetual Union between the States (Leviathans). According to Article seven, nine of the thirteen States were sufficient to establish the Constitution among the several States. One of the purposes of a Constitution is to distribute sovereign power. Tribes, such as States in this case, are brought together through means of confluence, which reflects the name for the Peace Maker, Dekanawidah, “two rivers that flow together.” The contributions of the Haudenosaunee in the development of the United States Constitution were acknowledged during the 100th Congress. Last edited by Pa Neter Ra; at 10:56 PM..
Today, I will briefly touch on the topic of nationhood. This idea is defined as the state of having status (standing or social position) as a separate and autonomous nation. Autonomy is an important concept relating to (a) motivation, (b) social development, and (c) well-being. People in any nation or society can be either extrinsically motivated or intrinsically motivated. Relatively speaking, the latter is more autonomous and entails behavior that is self-determined (internal). Whereas, the former is least autonomous and entails behavior that is nonself-determined (impersonal). The word nation comes from the Latin word “nation,” which means “birth.” In addition, a nation, from a legal or lawful paradigm, is a people who exist in the form of a united jural society. A united or organized jural society pertains to a nation with natural rights or positive rights and is recognized by positive law (i.e., the enactment of Law by proper authority). The moral sphere and the jural sphere are distinct in that the former encompasses the science of ethics (ethos), whereas the latter encompasses the science of Law (jurisprudence). Remember that the first issue at Law is Status. Another, important issue at Law is jurisdiction, which literally means “to speak law.” It has been recorded that Marcus Garvey once said that the pen is mightier than the sword, but the tongue is mightier than them both. Jurisdiction and venue or visne are distinct terms in that the former is the inherent power to resolve or decide a case, whereas the latter assigns the jurisdictional setting to hear and decide a case. Nationality means that a person(s) belongs to a nation. Furthermore, nationality determines ones political status, namely in the administration and conduct of government of which a national is charged. Nationality results either from birth or from naturalization. El Hajj Sharif Abdul Ali, (Noble Drew Ali) has proclaimed that “Moors are to be among the affairs of men.” Amun Nebu Ra Akh Ptah has informed us that the hawk must risen from mental death. This is the true resurrection, the science of wbn (wu-bu-nu), the science of levity. Moreover, he instructs us via the Black Book to look through the eye of the falcon and to go out and consume the mentally dead (civiliter mortuus) as the vulture or condor to bring them back to real life i.e. IN FULL LIFE, so as to continue in both physical and civil existence. Heru lay on the Horizon (Heru-em-Akhet). So, reach out with the grip of the strongest of lions, hold on tight, and don't let go until you are vertical, proud, and confident as Heru. Last edited by Pa Neter Ra; at 02:36 PM..
Self-determination is the liberty of “We, the People” of a given territory to determine and to proclaim their Nationality. It is that quality which comes from the fact that natural human beings are connected to a nation e.g. an organized jural society having natural or positive rights and recognized by positive law. In the jural sphere (National side), science of law is recognized in the dynamic framework of organized political communities. On the other hand, in the moral sphere (Divine side), the science of conduct, ethics (ethos), and morals, et cetera, are applied through and through the jural sphere to shape character and behavior of its Sovereign Citizens, so that they may become better qualified to do constructive missionary work. Keep in mind that the jural sphere (science of law) and the moral sphere (science of conduct) are complementary like the orbit of Sirius A and Sirius B. Recall that Noah and Enoch walked with the Elohim because they were just (zodok) and found perfect (tamam) in their respective generations. The Aramaic-Hebrew word for perfect (tamam) comes from the metu neteru word ATUM (root TM), which means perfect, whole, upright, et cetera. Hence, Noah and Enoch were the new ADAM (atum) in their times and were to serve as standards of conduct for human generations to come; as Muhammed has served as the template of conduct and character for all Muslims in shaping their moral sphere (chapter of the pen, 68:4). Competence, autonomy, and relatedness are psychological needs that are essential in shoring up self-determined behavior. Collectively, competence, autonomy, and relatedness, when allowed to work in organized political communities, facilitates growth, facilitates the integration of values into shared values, facilitates fruitful social development, and facilitates personal and communal well-being or health. Empirical research has revealed that intrinsic motivation is an important quality of motivation; especially in organizations that support and encourage autonomy. Organizations that are controlling erode intrinsic motivation (self-determined motivation) and thus people in them learn less, lose the desire for taking on new challenges, and lose interest in self-discovery (i.e., knowledge of self). Autonomy is not only the catalyst for self-determination, but also autonomy is the catalyst for will power i.e. making choices and taking on personal and collective responsibilities. The power of sound right reason is guided by the ethereal mind, 9-ether, conscious and conscience gases. Last edited by Pa Neter Ra; at 03:41 PM..